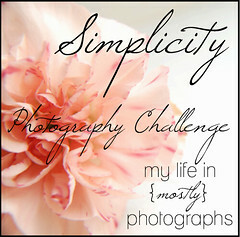 ← my first photo challenge! Yum. That looks and sounds great. We make a green smoothie every morning. We use coconut milk for ours. Very cool beverage shot. Green Monster….that would sell well in Boston for all the Red Sox fans. I eat spinach with my eggs everymorning, but I’d be willing to try one of these sometime. Thanks for including the recipe. Home school-yay. My best friend HS her son-he’s about to go on to college. Wow, this actually look really good..!! I’m a HUGE fan of spinach. There’s no doubt about it that I’m going to try this!! Thanks SO much..! Haha, you should try it! It’s delicious, I promise! Love the green drink with the orange mug…just perfect! I really like green smoothies too – in fact I might make one tomorrow morning!! That is sounding really good right now… I should go put a banana in the freezer. Thanks so much for linking up! Love your photo – the color of the mug really makes the smoothie pop!